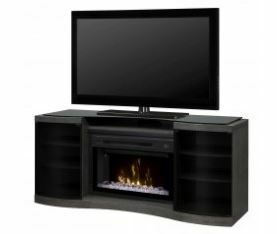 Dimplex® media consoles are constructed of durable, cabinet-quality wood veneers to ensure long product life. Finishes are applied by hand during a multi-stepped finishing process for maximum quality. Our media consoles come equipped with superior hardware that will last through the daily grind of everyday use. Our media consoles come in a wide range of finish options to suit any style or décor. From the simple yet elegant black or white to a rich burnished walnut or oak finish, there is sure to be a finish that is right for you.